There are a lot of perks to living in Denver, Colorado. The Mile High City offers beautiful views regardless of where you decide to call home. Understanding what it’s like living in Denver will help you to decide that it might be the right place for you to move to. There is a significant amount of diversity and eccentricity throughout Denver. The metropolitan area is full of neighborhoods, including Stapleton, Harvey Park, and Arvada. Each has its own charms. Additionally, the metropolitan area is surrounded by 200 visible peaks and panoramic views of the mountains for over 100 miles. One of the benefits of living in the metropolitan area of Denver is that the cost of living is under control. Many major cities around the United States, including New York City and Chicago, have such a high cost of living in that it is nearly impossible to be comfortable. Aside from higher than average housing costs, living expenses are mid-range when compared to other metropolitan areas. Property taxes are relatively low. As far as health care and groceries, you will only pay slightly more than the national average, which is great when you consider all that you have to access in the city. The economy is booming in Denver. There are a number of high paying jobs found throughout the city, predominantly because there are many top companies who have chosen to keep their headquarters here. Competition for quality jobs is fierce so companies pay higher as a way to attract candidates. The average median income, according to the BLS, in Denver was $58,003, approximately 3.8% higher than the average in the nation. Some of the industries you may want to explore include technology, aerospace, and agriculture. While it may take some time to adjust to the altitude, the weather more than makes up for it. Approximately 300 days of sunshine are available every year. The high-desert climate provides a bluer sky and brighter stars. In the summer, you can enjoy all of the beautiful places that are only miles outside of the city. Even in the winter, you can experience a whole new set of recreation, including snowboarding, snow skiing, and ice-skating. You will never have a dull moment in Denver and the surrounding metropolitan area. If you’re a sports fan, you will have the NFL’s Denver Broncos as well as the MLB’s Colorado Rockies. There is also Lacrosse in the form of lacrosse as well as the NBA’s Denver Nuggets. 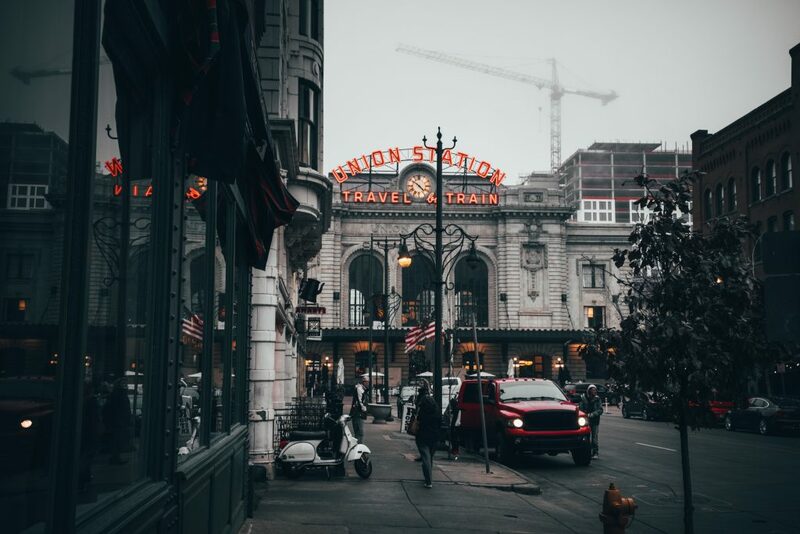 You can also enjoy live music at the Red Rocks Park and Amphitheatre, go shipping at Union Station, and learn about the Indian history at Larimer Square. Of course, there are always events taking place somewhere in Denver, too. Some of the top festivals include Colorado Brewers Festival, the Hot Air Balloon Rodeo, Crested Butte Wildflower Festival, and the Denver Underground Music Showcase. Every summer is also the Manitou Springs Colorado Wine Festival. Whatever it is that you enjoy doing, you will find it in Denver. It is a family-friendly city with plenty of opportunities to have a romantic getaway at the same time. It’s why the population continues to grow and the real estate market is highly competitive. Explore the joys of living in Denver by searching for homes in the area. Call us at Dyllan Real Estate today to learn more about the real estate options, including those in Stapleton.